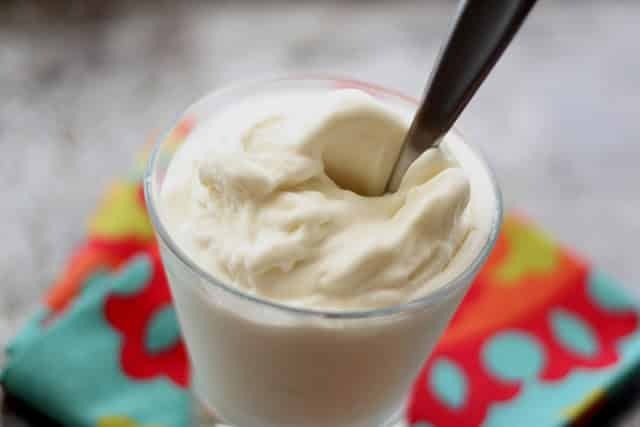 This soft serve Pina Colada Ice Cream turned out to be so delicious my kids were jumping up and down with excitement. I loved that it was so flavorful and slightly sweet without any refined sugars. I hadn’t tried freezing any of my smoothie recipes prior to this and now my mind is swimming with the possibilities! I’m excited to be sharing a great new cookbook with you today. When Faith and Alyssa announced that they were co-publishing a book of artisanal smoothies, you know that I had to check it out. If you’ve been reading this blog for any time at all, you know that I have a well-documented love for smoothies. blender almost every single morning. With four separate chapters for Indulgence, Fruits, Greens and Coffee + Tea; this is a unique collection of smoothies unlike any that I have seen before. I already have a TON of smoothie recipes posted here on the blog, however, this book has inspired me to mix up my usual recipes and try some new ingredients. Up until now, I’d never thought to toss a pinch of salt into my smoothies. Why not? I add salt to almost every other thing I make and yet, never to a smoothie. That tiny pinch of salt makes a difference and enhances the flavors beautifully. 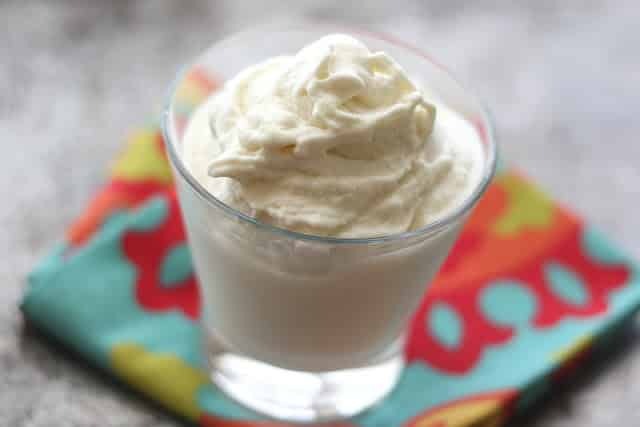 The twist of lime in this Pina Colada Smoothie gives it a unique flavor that is deeper than the average combination of coconut and pineapple. Place all ingredients in the blender and puree until smooth and creamy. Pour into glasses and serve immediately for smoothies or pour into an ice cream machine and process according to manufacturer's directions. Scoop into bowls and serve immediately after freezing. Enjoy! Disclosure: Faith sent me copies of both her e-books to review. All thoughts and opinions are 100% my own. 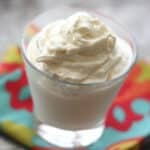 This sounds really good Mary as we enjoy all things Pina Colada. There used to be a restaurant in Knoxville that made their drink with ice cream rather than ice and it was to die for - perhaps literally with all of the fat and calories. So glad your kids loved it - this is also one of my sons favorites!!! Thanks so much for reviewing BLEND Mary and have a great weekend! I seriously can't get enough of Blend! Haven't made this smoothie yet but it is SO summer-perfect! I don't have an ice cream machine so would I be able to blend it and then just freeze it? I think it would work just fine. I'd stir it every 20-30 minutes while it is in the freezer for an hours or so, just so it doesn't turn solid. Once it is the consistency you want, scoop and serve! How good does this look. Delicious. Mary, this ice cream looks amazing! I would have guessed it wasn't custard based... it looks incredibly smooth and decadent! !